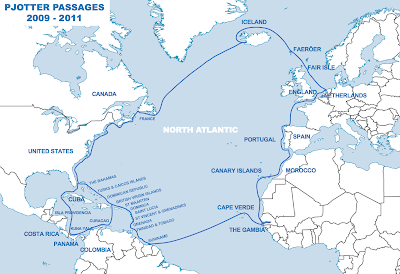 In May 2009 we left the Netherlands to start our voyage around the Atlantic Ocean. We returned after 25,000 miles in the summer of 2011. Departure from the Netherlands to London, England. Via South coast of England across the Bay of Biscay to Spain. Around Portugal to Morocco and on to the Canaries, The Gambia (West Africa) and Cabo Verde to prepare for the Atlantic crossing. 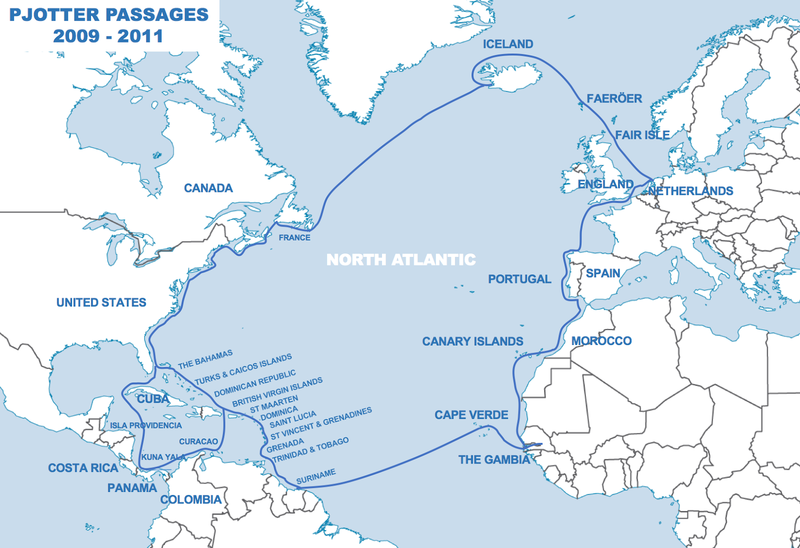 Cross the Atlantic Ocean (exactly 2 weeks) from the Cabo Verde to Suriname (South America). Cruising in the Caribbean (Trinidad and Tobago, Grenada, St Vincent and Grenadines, St Lucia, Dominica, St Maarten, BVI's) then from the Turks and Caicos, partly via the US intracoastal waterway, up to New York. Visit Rhiannon’s brother and his family in Bristol, Rhode Island. Further up the US East coast and to Canada to see Rhiannon’s parents at their home in St. Andrews, New Brunswick. Nova Scotia and Cape Breton, Newfoundland, back to New Brunswick. US East Coast - Coast of Maine, New York, Chesapeake Bay and down to Florida after hurricane season. Arrived safely back in Den Helder on August 20th 2011.